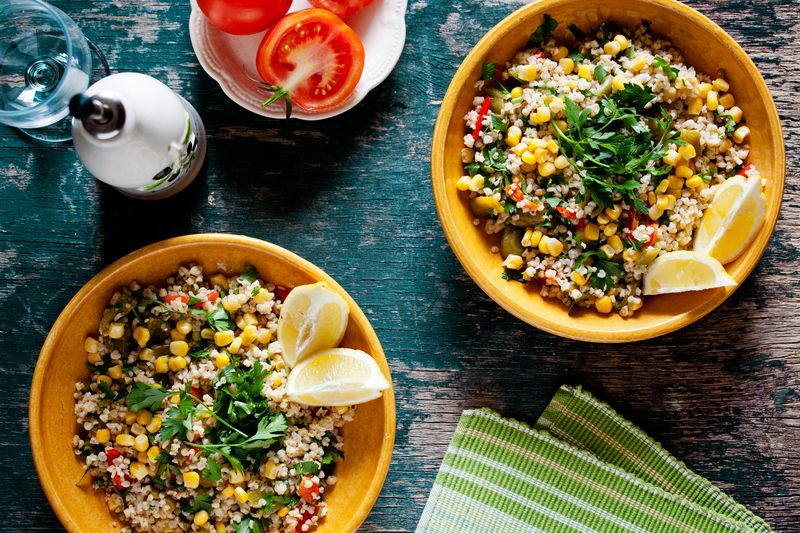 If you’ve never tried a grain bowl before, you’re in for a treat. 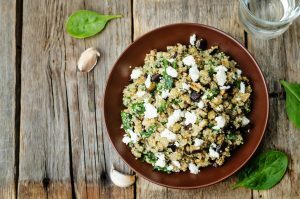 You can create this complete meal just by layering a variety of nutritious ingredients over a simple cooked grain. This new trend allows for the perfect balance of high-fiber, slow-release carbs topped with a protein and a seasonal vegetable with an easy olive oil and lemon dressing. Grain bowls are easily assembled; you can add whatever greens, vegetables and protein you have on hand for a great on-the-go lunch or quick dinner. Make adjustments depending on your energy needs and goals: to boost the calories, increase the grains. For a lighter bowl, have more veggies. 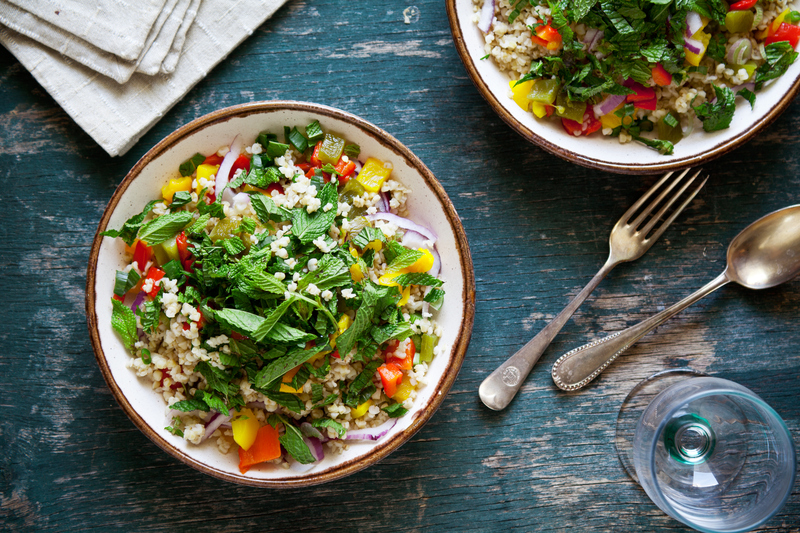 My go-to grain bowl is perfect for Sunday afternoon batch cooking. Prep enough so you can enjoy different versions of it several times throughout the week. I like to start with brown rice or quinoa in the bottom of my bowl, and then I add a bit of sauerkraut. Next, I layer on veggies like some roasted sweet potato, which adds a creamy texture and lots of beta-carotene. I love a crunchy topping like spicy pumpkin seeds, but you can also use sunflower seeds or chopped raw almonds. Mix with a bit of hearty kale or green of your choice, plenty of olive oil and a squeeze of fresh lemon. I top it with a couple of poached or hard-boiled eggs to give it the protein I need. Remember, it’s all about flexibility, so use your imagination and anything you have on hand! Which food product codes are NOT GMO? Which food product codes ARE GMO? …. whichever list is shorter? Thanks for your question, PJ. Our Customer Service team would be more than happy to help at bitly.com/aldihelp.